“Abandoned and decommissioned bunkers are a subsection of utilitarian brutalist architecture that has come to gain totemic significance and to have a form of romance attached to them. This can take a hauntological form where Cold War bunkers in particular have come to represent and be symbols of the spectres of history. This connects with a central defining tenet of hauntological strands of interest: explorations of and fascinations with lost futures and areas of culture, artifacts, buildings, institutions etc. which are imprinted with spectres of those lost histories. (They can be) a somewhat spectral reminder of the Cold War, in both a hauntological and fear-instilling manner. 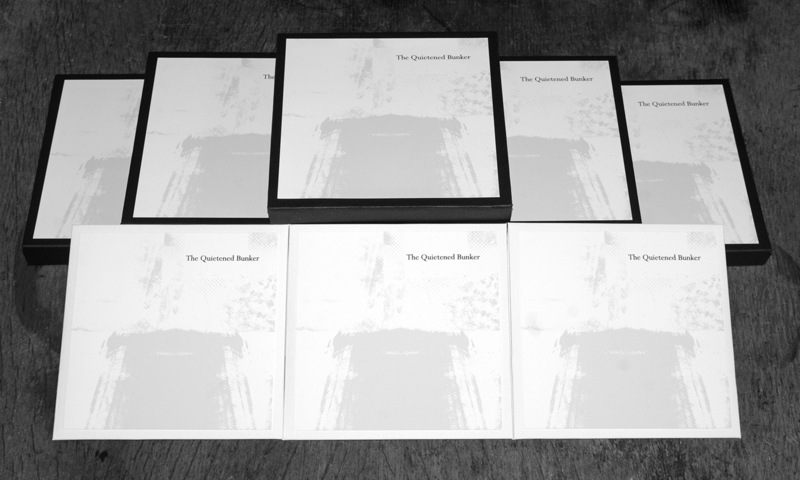 “Connected to (their) sense of futility or delusional projections of their effectiveness, in 2014 as part of A Year In The Country a themed album called The Quietened Bunker was released. 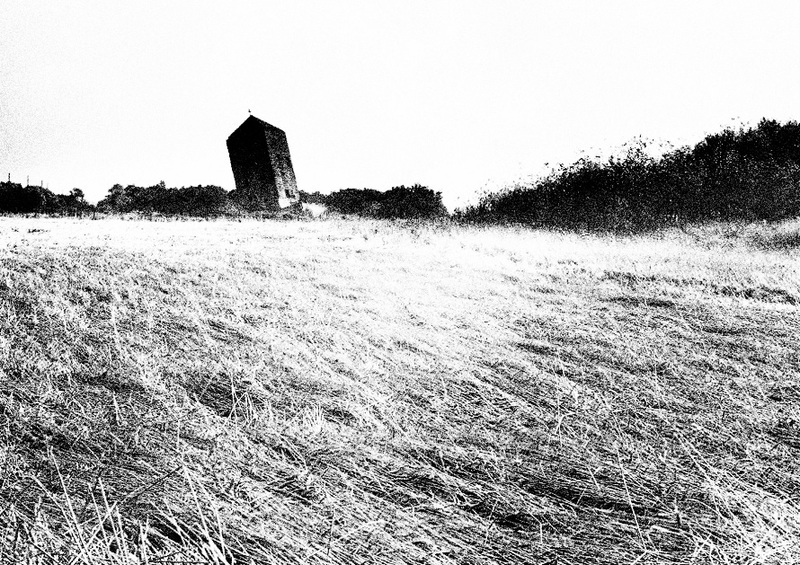 This featured work by Keith Seatman, Grey Frequency, A Year In The Country, Panabrite, Polypores, Listening Center, Time Attendant, Unknown Heretic and David Colohan and interpreted the album’s theme via recordings that included field recording subterranean ambience, paranoid industrial distortion, Radiophonic inflected electronica and elegiac end of days sequences. 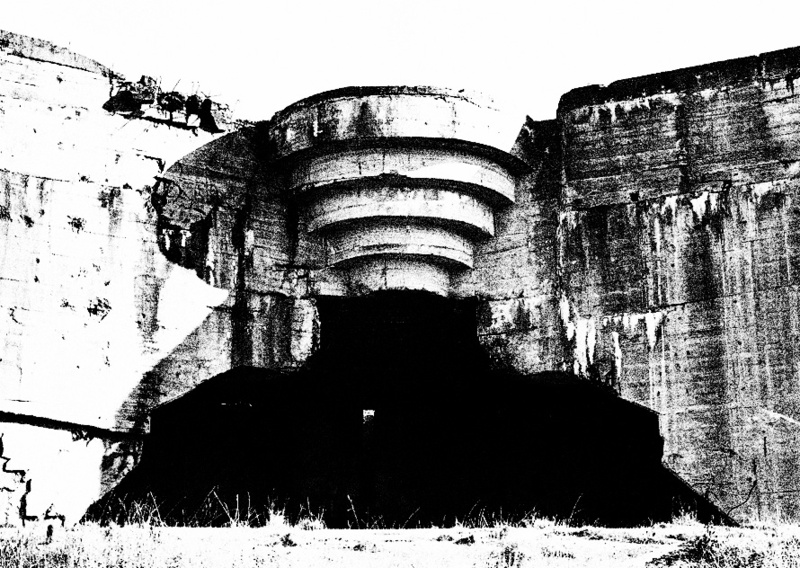 “The Quietened Bunker is an exploration of the abandoned and/or decommissioned Cold War installations which lie under the land and that would have acted as selectively populated refuges/control centres if the button was ever pushed. 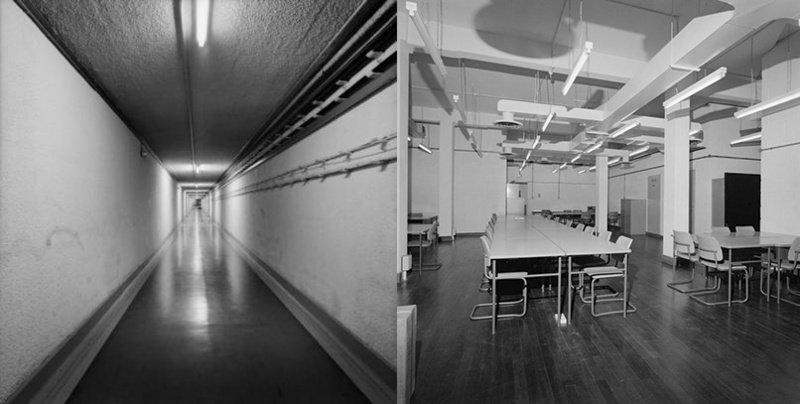 “(The Quietened Bunker) is part of a lineage of work that explores, is inspired by and documents bunkers, shelters and related infrastructure. The book Waiting for the End of the World by Richard Ross published in 2004 is part of this lineage. 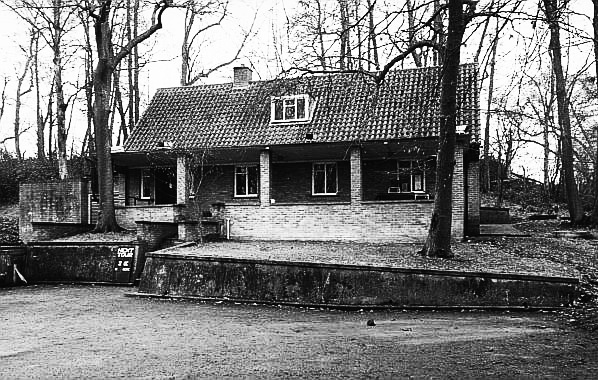 It contains photographs of active and decommissioned bunkers and shelters around the world, both those built by governmental/military organisations and by private individuals. 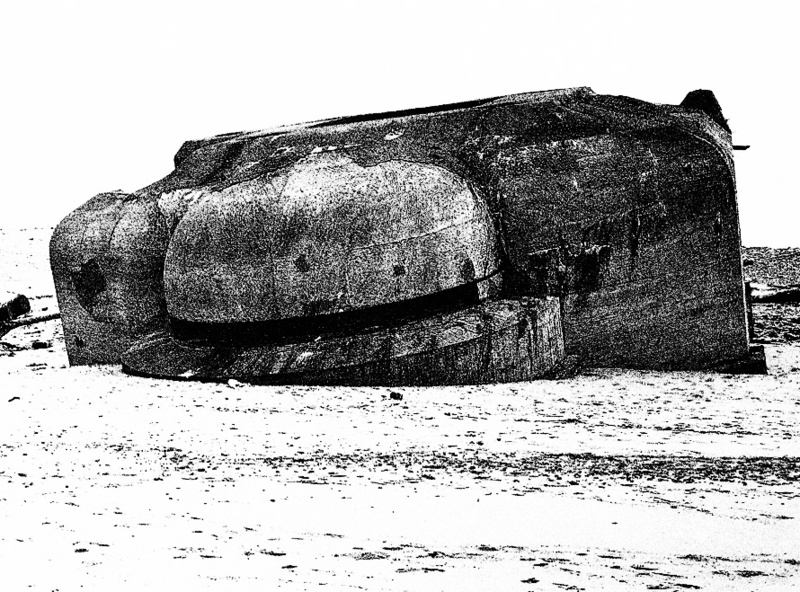 “A predecessor to the above Cold War bunker related lineage of work is Paul Virilio’s book Bunker Archaeology, originally published in a French edition in 1975. 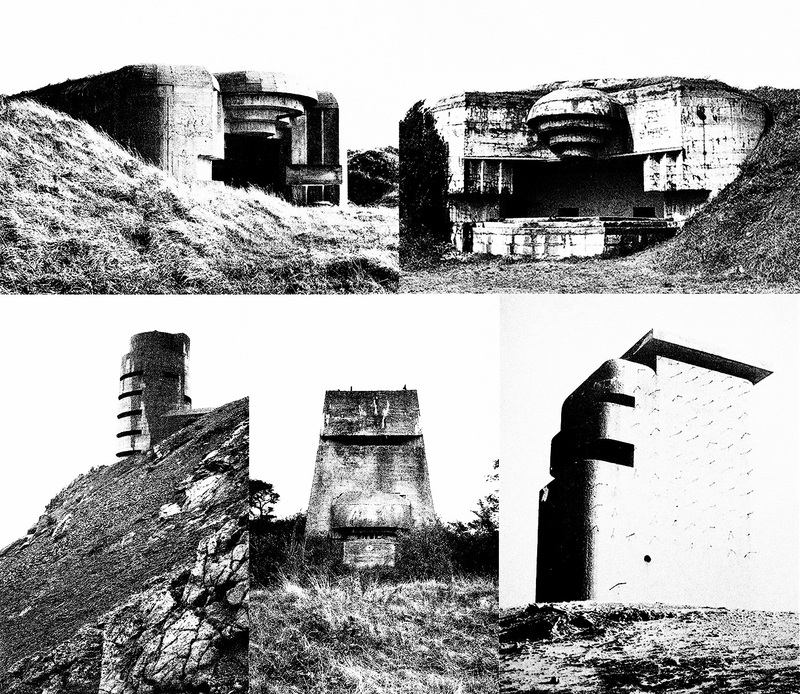 This collects his photography and writing on the abandoned World War II German bunkers and related installations that lie along the coast of France. “Viewed now they seem to almost be a form of accidental utilitarian art: something they share with the likes of similarly appreciated pragmatic constructions such as telegraph poles, pylons, Soviet era bus stops or even library music. 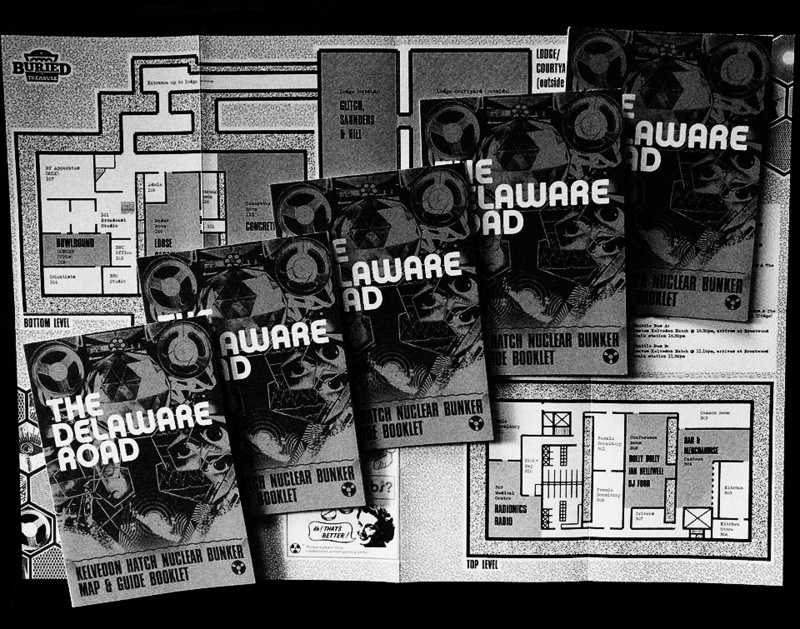 (Decommissioned bunkers are even) available to hire for events: one such of which is The Delaware Road event organised by record label Buried Treasure in 2017 and which accompanies their themed album of the same name. 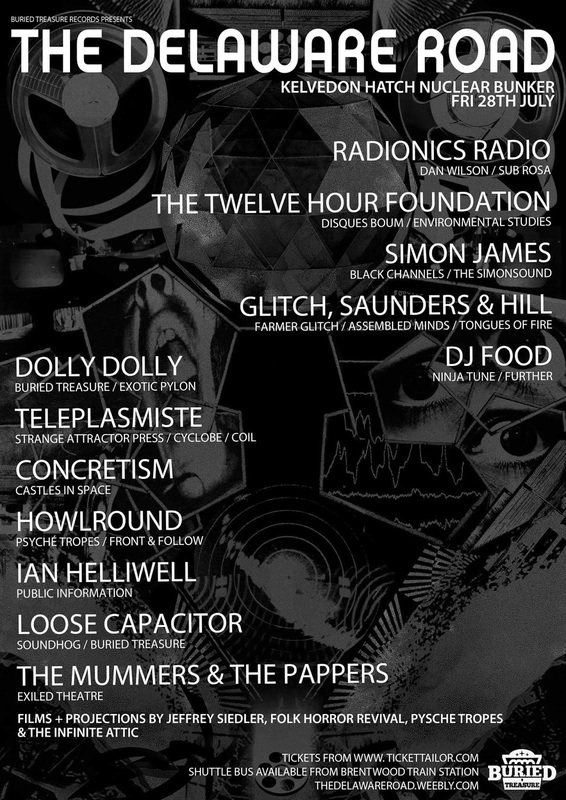 This event was deeply interconnected with hauntological themes and tropes, featuring a number of performers whose work has been to various degrees linked with such areas of work including Dolly Dolly, Howlround, Radionics Radio, Ian Helliwell and Saunders & Hill. 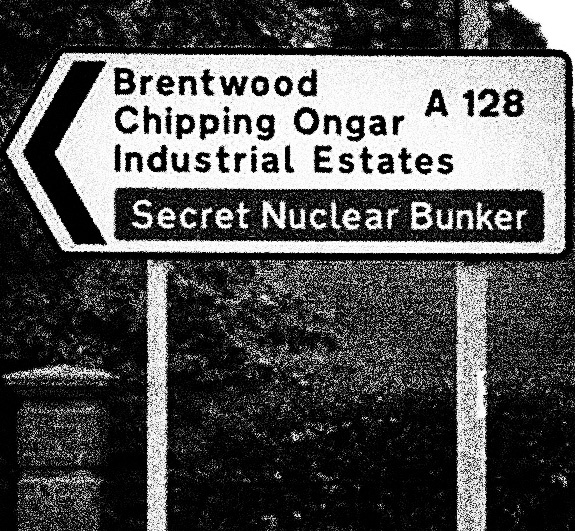 “Returning more directly to the heritage and tourist industry repurposing of such installations, on British roads you can find official road signs that direct you towards the tourist destination of a “Secret Nuclear Bunker”, often appearing on the same sign as one which also points drivers to an industrial estate and various towns. 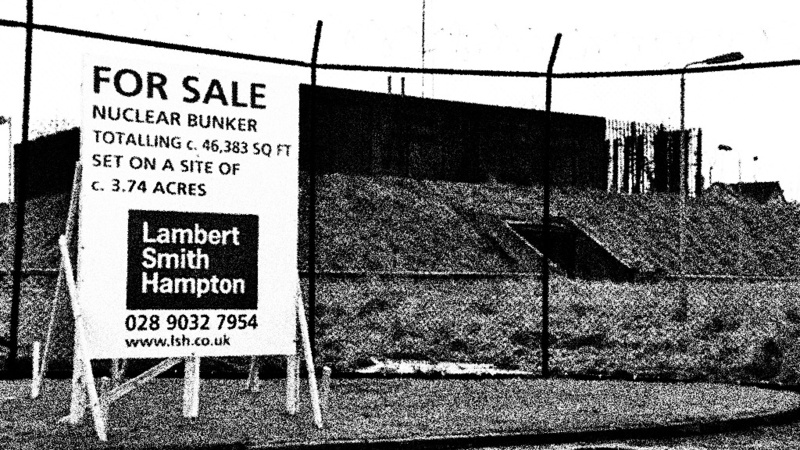 Viewing these signs may bring kind of mental disconnect – a mixture of disbelief, humour and relief that we are no longer living in a political situation where these bunkers are considered necessary and possibly a touch of sadness, anger and grief for us having once done so. 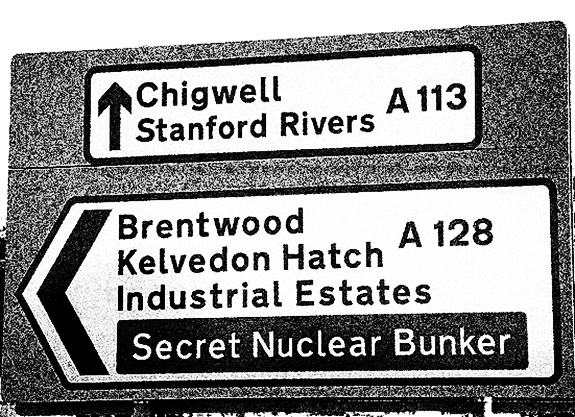 “Accompanying and interconnected with such road signs are the estate agent signs for when a decommissioned bunker has been made available for sale; the hoardings name the property for sale as a nuclear bunker and list its square footage and acreage of land. Begging the question: is this a buyer’s or a seller’s market? There is scarcity value to the property but presumably only a very limited number of potential buyers and allowable uses (data storage seems to be one such usage that is mentioned on these boards).